Welcome to our Paper Pros challenge for August. This time around our challenge is hosted by Raquel Mason. Our challenge this month is to create a monochromatic card - use different hues of the same color. I create monochromatic cards a fair bit, the only time I have trouble with them is when I have to do them for a challenge LOL! I know dumb!!!!! For my card I decided to try out Karen Burnistons "Staggered Charm Accordion" that she created for our challenge card last month. It is always good to be able to use the dies or stamps we own in ways other than what they were intended. Of course to I had to use Karen's new Charm Accordion die set to be able to make it. 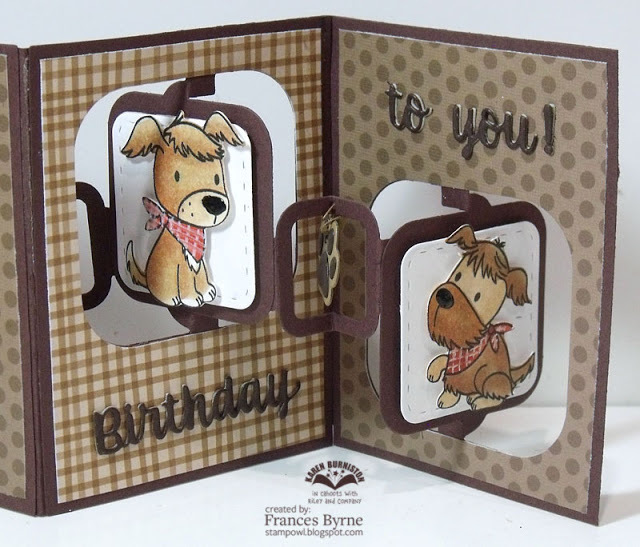 To decorate my card I used MFT Stamps Playful Pups which I fell in love with when I first saw them. 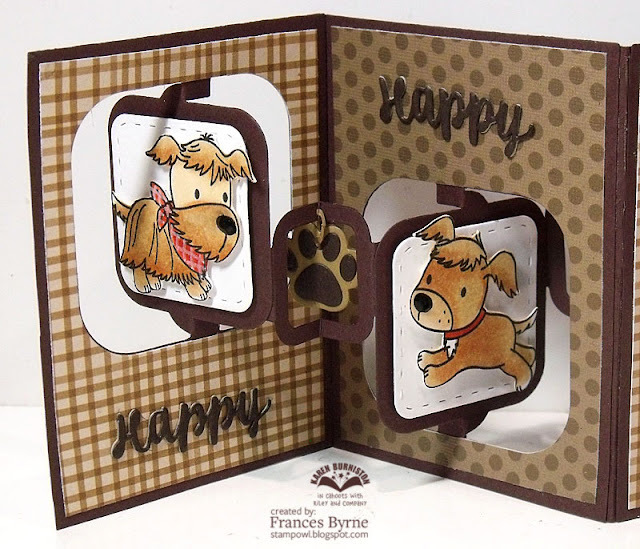 For the charms on my card I used one of Karen's old Pop It Ups die sets .... the Props 4 and die cut paws to hang on the charm window. 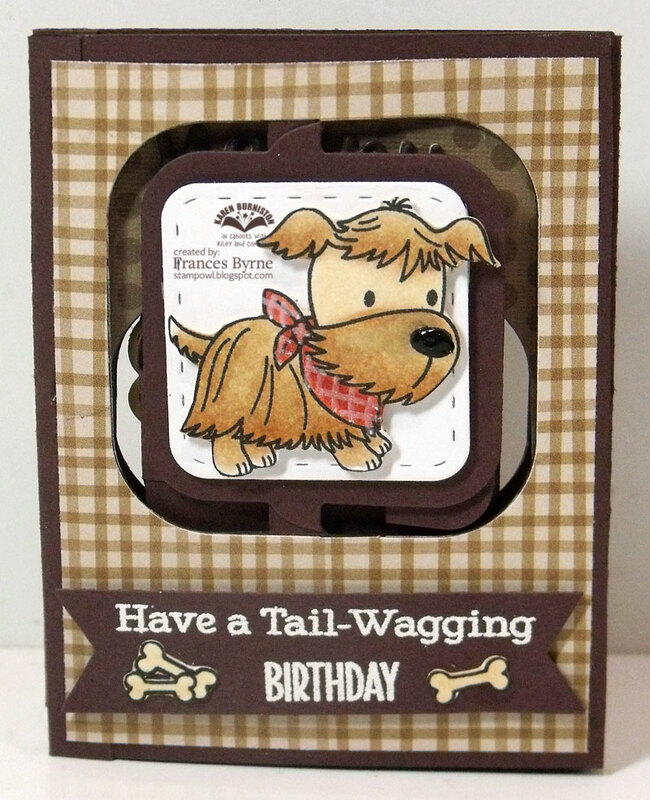 I also added the birthday sentiment to my card using the Word Set 2 - Birthday die set. Here is a look at the front of my card when it is closed ready to be placed in an envelope. As you can see I added a birthday sentiment to a fishtail banner.